Too soon to give a good review ,2 days of ownership. I will try to post back in a few months. So far it has met all expectations, 80k miles on it and everything is still feels nice and tight. 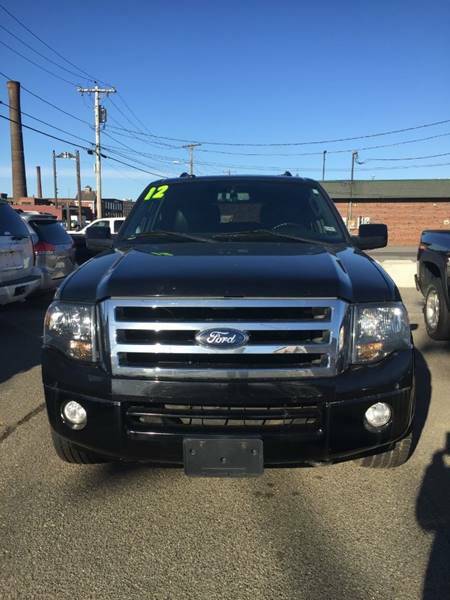 Sorry, we couldn't find any 2012 Ford Expedition listings that matched your search criteria. Avg. Dealer Rating: (28 reviews) "This truck is over priced. Lots of features they list don’t even work. The truck also shifts really hard from first to second. They told me the only reason it’s lower priced was because there’s a “service suspension” light on but they couldn’t tell me what the problem was, nor were they willing to look at or fix it. The guys here don’t care about anything except making a sale. If you ask them any details about their vehicles they tell you they know nothing about the vehicle. All of their vehicles have been in an accident, but they won’t tell you that either. My father bought a vehicle from them years ago and absolutely nothing has changed. If you want an honest, trustworthy dealership where you feel like you’re getting a good safe deal, this is NOT the place." Avg. Dealer Rating: (19 reviews) "James and Chris were great to work with in the purchase of my car." Avg. Dealer Rating: (6 reviews) "Cody Booker was more than helpful he'll get you in what ever you are looking for he's a nice guy hell of a salesman, needs a little more of an open ear and could be more flexible with price. " Avg. Dealer Rating: (10 reviews) "Cool guy." Avg. Dealer Rating: (5 reviews) "Truly a Hidden Gem. The people we worked with were incredibly nice. The whole experience was pleasant and enjoyable. They worked with us to make sure we got exactly what we wanted. It was the best car buying experience I have ever had. Thanks again guys! - differently worth the road trip to get a new car, we traveled over a hundred miles and couldn't be happier." Avg. Dealer Rating: (49 reviews) "Listen, if I could give this company 10 stars, I would! I went in one day and came home with my car the next day! Kice is BEYOND a great person and businessman. I got a super clean 2014 Acura TSX, runs super awesome, fresh oil change, cleaned up for me, new tires. He does not sell anything that is not top notch. Very forthcoming about the car history ,etc. Please if you need a car, go see Bavarian Auto Sales. Up and up, honest dealership. He set up my financing and everything. I plan on going back and getting a new SUV soon! He will be getting my business and I will recommend him to anyone I know who needs a car!"